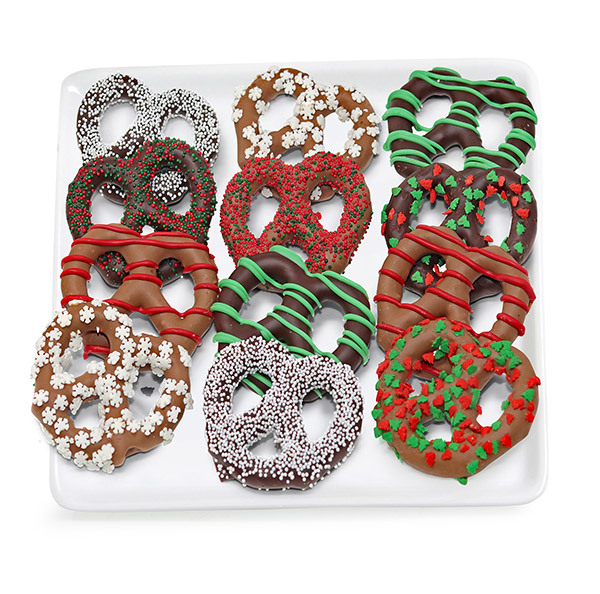 Give someone a Christmas they will never forget with our gourmet Belgian chocolate dipped pretzels. They will leaving you craving more with the ideal combination of sweet and salty. Includes 12 individually decorated pretzel rods with festive Christmas sprinkles and candies. Perfect for the whole family to enjoy this Christmas season.